Have you ever made Jello Worms? It's really easy to make, you just need Jello and flexible straws! 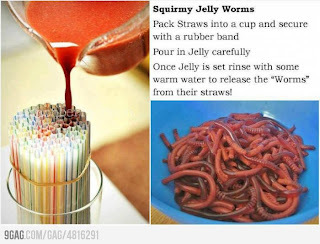 If you can make Jello, then you can make these cool looking worms. 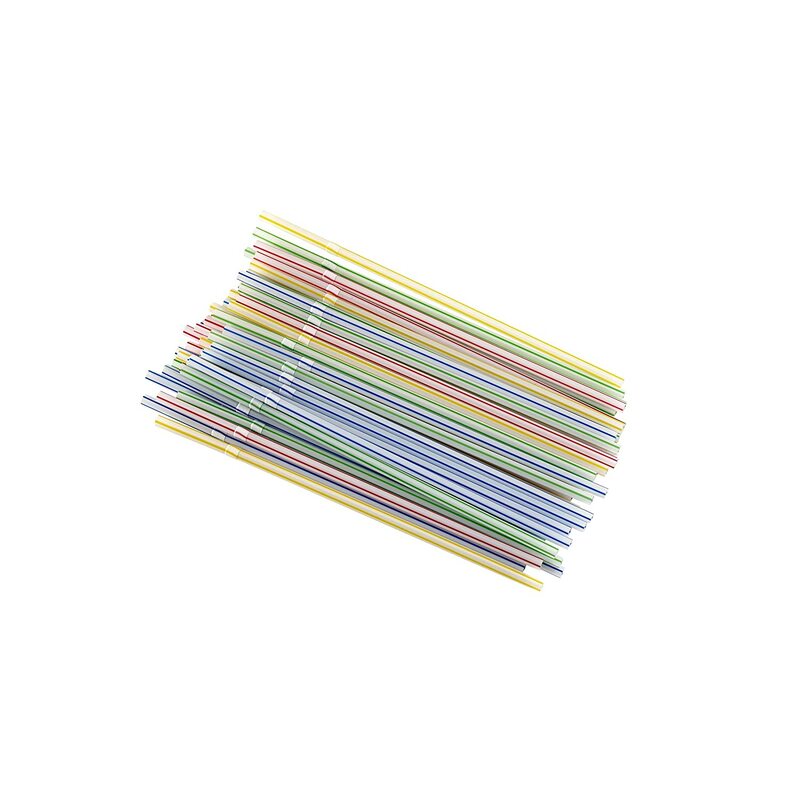 Pack your straws tightly together in a cup, and use a rubber band to hold them all together. Pour in the Jello, carefully. Put it into the fridge to set overnight. Once the Jello is set, you can rinse with warm water to release the "worms"! Running warm water for just a second works great. Submerging the straw is not a good idea! If you try this one, let us know how it works out! Jennifer Logan posted: That's soo cool! Great idea for Halloween!! Teresa Riddle posted: This would be a great idea for a Halloween party. Sally Londagin posted: What a neat idea! Frugal Freebies posted: Yes, Sonia - some have done that. Just replace some of the liquid. 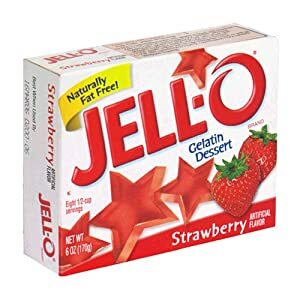 Marsha Cartwright Basta posted: I think any Jello shot recipe would work. Glenda Purdon posted: How does the jello come out of the straws?? Frugal Freebies posted: With warm water running over the straws. I haven't tried this myself yet though so I am not sure how easy that is. Lots of people have tried and say it works! Sue Gold posted: Just disgusting enough that kids will love it! Barbara Opperman posted: In the left picture, it looks like the straw length has NOT been extended, but the ridges on the worms on the right look like they came out of extended straws. I'm stumped. Those worms look pretty durn real! Cassie Shannon posted: Eww! That's funny!!!! Shea Wise posted: how do you keep the liquid jello from coming out of the bottom of the straws?...there's a million dollar question? Katrina C posted: This looks like so much fun. Almost like a Halloween type of fun food. U think we can add booze in the mix? 3) Gather your straws (don't forget to flex them out) and put them in the container. It's important that the straws have a tight fit so the jello stays in the straws. For this reason, a 1 liter carton may be better; you will probably get longer worms since there is a tighter fit. If you have a bigger container, a rubber band around the straws is helpful. Or you could just add more straws to fill the container.